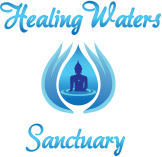 Andy Marcus is trained in many Aquatic Therapies, including Aquafloating, Watsu, Waterdance, and Healing Dance. He is certified as Watsu Practitioner and Waterdance Practitioner from Waba and has about 1000 hours of training from Waba. He is open to give sessions from any of the modalities mentioned. Water is a sacred space that supports the holding process to find stillness. When this happens, we can build into all aspects of ourselves for healing and transition. This invites in our potential with humanness, emotions, stillness and divinity. We can connect body to spirit and recognize all as good.